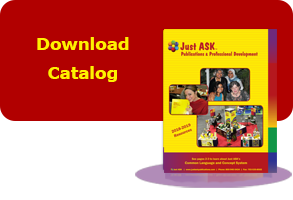 Just ASK Publications & Professional Development (Just ASK) is based in Alexandria, Virginia, USA. Established in 1989, Just ASK provides products and services for educators in formats that facilitate a shared understanding and the use of best practice in teaching, learning, and leading in 21st century classrooms, schools, and districts. Driven by the essential question displayed above, the publications and products developed and distributed by Just ASK are used by Just ASK consultants in their long-term multifaceted work with schools and districts, stand alone for use in professional development initiatives led by district personnel, and are often used as texts for college courses. 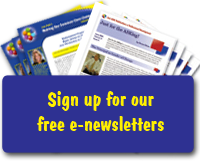 These comprehensive resources use a common language and concept system that makes the Common Core come alive. Because they are cross-referenced, administrators, teacher leaders, veteran teachers, mentors, coaches, and new teachers can all be on the same page! Call us at 800-940-5434 or complete the form here to request a catalog, a consulting services brochure, or other documents.